The latest 3D tech buzz is that Amazon’s 3D smartphone will be coming out sometime this year. The Wall Street Journal recently reported that a formal announcement will be made by Amazon sometime in June. 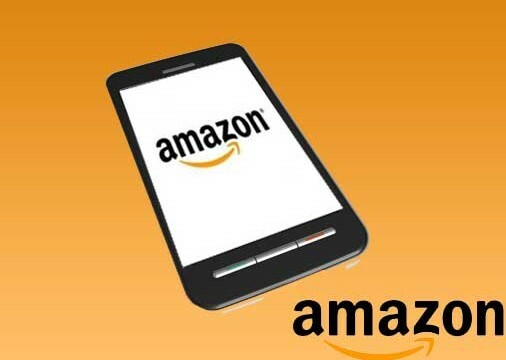 Speculation is that Amazon will release their new 3D glasses-free smartphone sometime in September 2014. We caught wind of the story and reported on Amazon’s potential entry into the highly competitive smartphone market sometime last year. We’re glad to see that the 3D auto-stereoscopic smartphone is becoming a reality. The Amazon 3D smartphone is rumored to be embedded with the powerful Qualcomm Snapdragon processor could that mean a partnership with the 3D technology company MasterImage? Maybe Dolby? For the past few years MasterImage has been at the forefront of glasses-free 3D movement on tablets and small hand-held devices. I was lucky enough to get a first hand glimpse of some of their early prototypes. though not perfect at the time I saw them…there was a steady improvement over the past couple of years. MasterImage’s current glass-free 3D is reported to be xlint with a much wider viewing angle. It’ll be interesting to see if others like Apple and Samsung add the Auto-stereo feature to their upcoming new smartphones. Glasses-free 3D is just around the corner. Tech giant Dolby is also working on glass-free 3D technology and is said to be in partnership with a number of manufactures for the next generation of HD glasses-free 3D televisions and also glasses-free 3D for the mobil and tablet market. Shopping online looking at products in 3D…very cool! More to follow.